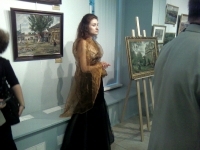 Curator of "Gomel Palace and Park Ensemble". 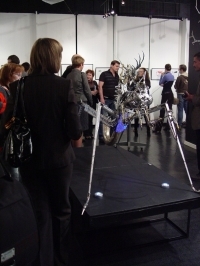 Organizes exhibitions of Gomel artists abroad. Graduated from Gomel State University named after Francisck Skarina, Department of history and philology, specialty History (1983). She works at Gomel regional museum (now - state historical and cultural institution “Gomel Palace and Park Ensemble") since 1988. 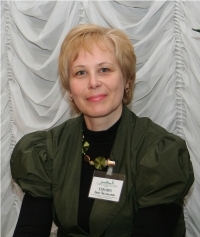 The head of the department of pre-Soviet period since 1996, head of the Department of exhibitions and museum information since 2006. Was awarded with prize “Alexander Nevsky” for the exhibition "The owners of Gomel Rumyantsev-Paskevich Residence". Made more than 250 exhibitions. Author of conceptions of exhibitions of “Gomel Palace and Park Ensemble”. 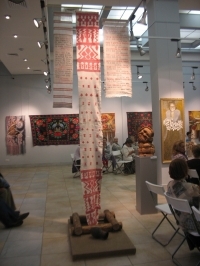 Curates exhibitions from Belarusian museums and art galleries in Belarus and abroad (National History Museum of Belarus, Moscow Gallery “Beliaevo", State Darwin Museum in Moscow etc.). 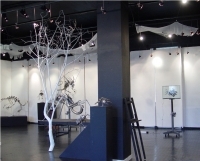 Organizes exhibitions of contemporary artists and photographers (solo, conceptual, thematic exhibitions) since 2006.